Slocan Lake Golf Course in New Denver, British Columbia is a beautiful nine hole course surrounded by the picturesque Selkirk Mountain Range. Tucked away in the stunning landscape of the Kootenays, the Slocan Lake Golf Course in British Columbia, Canada is a course suitable for all types of golfers. The fairways are narrow, nicely manicured and your shots need to be fairly accurate which is what all golfers aim for on a course. 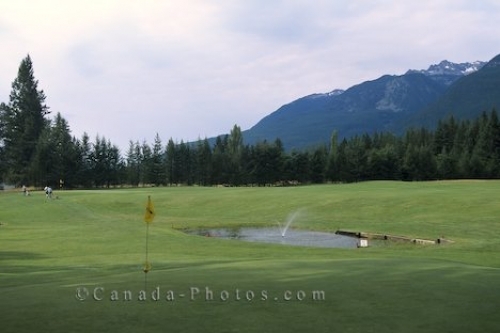 Valhalla Park, Golf Course, Slocan Lake, British Columbia, Canada, North America. Picture of one hole on the Slocan Lake Golf Course in New Denver, British Columbia.